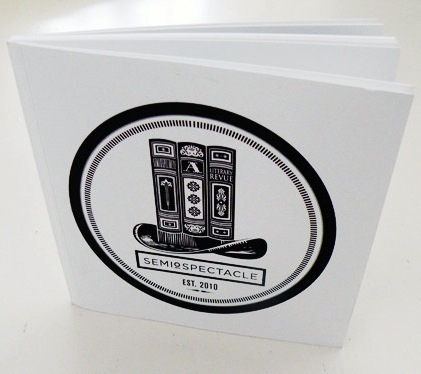 A catalog accompanying the first installment of Semiospectacle, at Performance Space 122. 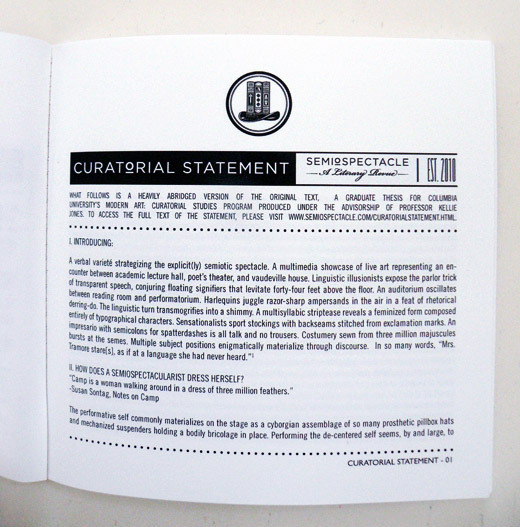 Edited and with curatorial statement by Mashinka Firunts. Design by Shauna Haider.